The lights dim in Brixton Academy, London & the opening sounds of Black Sabbath’s War Pigs rings out, it’s time for one of the greatest heavy metal bands to ply their trade & the crowd packed inside is filled with energy singing every word of the Sabbath classic. The stage is hidden behind a huge curtain with the Judas Priest’s logo printed across it but there is no mistaking the silhouettes that shortly appear behind. 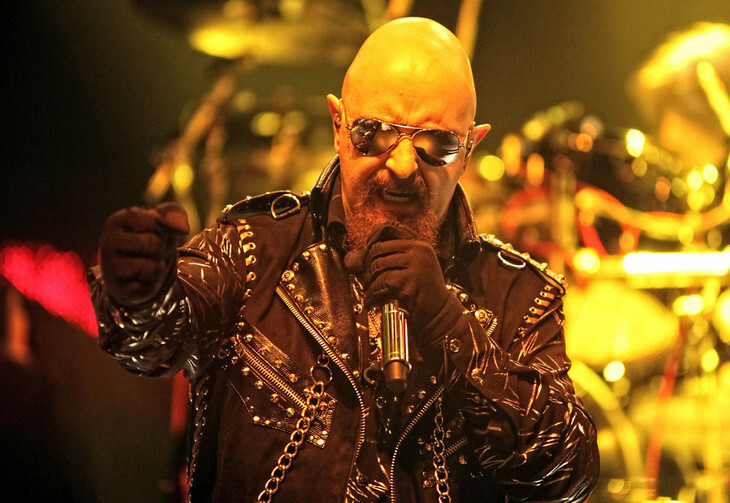 The curtain drops & the band go straight into Dragonaut, the cheer that erupts is deafening but is still nothing compared to noise heard as Rob Halford wanders out. His voice sounds amazing…the man will be the first to admit that he can’t hit certain notes the way he could when he was a much younger man but you wouldn’t know it. It’s unbelievably great & the band are incredibly tight, I don’t think they made a mistake all night. The songs come thick & fast, Halford saving some banter until quite a few songs into the set. His outfit changes, themed around the songs/albums is always a bit of fun & it’s inspiring to see him turn his back to the crowd to reveal a French flag on the back of his denim jacket. 9 albums are covered throughout the set, the band wanting to delve into their history more. One of my personal favourite songs, Turbo Lover is dropped about halfway through the set. It sounds amazing live with the guitars bettering the synth section. It has to be said that the crowd do quiet down for some of the more modern Priest stuff which is disappointing. Redeemer of Souls might not be the most classic of Priest albums but it has many quality songs & a few are aired tonight (the actual song, Redeemer of Souls, is excellent live). The main set ends with the double header of their most famous songs, Breaking The Law & Hell Bent for Leather. The crowd’s energy for both increases as you would expect, Hell Bent for Leather is impressively loud & the band seem like they want to keep going all night long. They leave the stage & almost instantly return for what is one of two encores tonight. The Hellion welcomes them back before Electric Eye & You’ve Got Another Thing Comin’ keep the energy up. Once again they go & once again they are back almost instantly. They’ve saved one of their heaviest & one of their classic sing-alongs for the end…Painkiller, which is one of the highlights of the night & Living After Midnight which manages to squeeze the last out of some tired voices tonight. 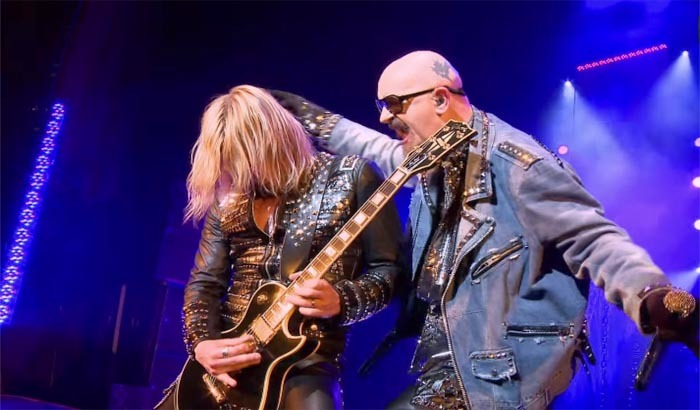 Judas Priest rocked Brixton tonight, every fan can be proud that such a metal institution are still going strong & are showing no signs of slowing down!